I have received many massages at John French Massage Therapy. The facility is very clean. The atmosphere is soothing and relaxing. Ashley Hines is an excellent massage therapist. She is professional, takes time to go over your history and discuss any issues you may be having. Then she will focus on those problem areas with deep tissue massage. I have also had the hot bamboo massage and found it very effective for releasing muscle tension. Ashley also gives an excellent relaxation message as well. I highly recommend her. I have also had several massages from John and he is excellent as well. By far the best lymphatic massages I have ever had. John is so charismatic and really does enjoy what he does. It shows in his work and your results. I have now had 3 massages and I have now had 3 massages and I will definitely be coming back for more. It is always clean and welcoming when I come in. 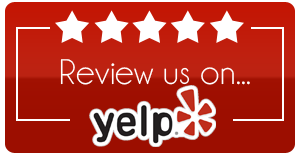 I recently moved to Gainesville and stumbled upon John French Massage Therapy by trusting the reviews online and I am so glad I did! From the moment I arrived, John was very friendly and personable. Once I was on the table, he made sure I was comfortable and did fantastic work with just the right amount of pressure. It had been a couple of years since my last professional massage, but I felt right at home. Thank you so much for your great work! This was one of the best massages I’ve received. I have already booked my next appointment and will be back again and again! I had a wonderful massage with Ashley. She was very professional, knowledgeable and friendly. She has the magic touch. I felt so much better after she worked out my fibromyalgia knots. The office and treatment room were very clean and had a relaxing atmosphere. I would definitely recommend her! So I went back yesterday and had my second massage. I’d never had a deep-tissue massage before, so I wasn’t sure exactly what to expect. On top of that, though I had John for the first massage, this time I opted for Gary because it was a last-minute idea and John was booked up. Long story short, everything about the massage was great. It was considerably more pressure than the Swedish I had gotten before, but except for a little soreness today, I slept better than I have in 10 years. Not to mention there is absolutely NO tightness in my shoulders or neck. I don’t remember that last time I could say that without laughing. I don’t know what magic these guys work, but whatever it is, they are absolute pros. I discovered John through a Living Social deal (which lately have been much better than Groupon deals), and I’m already planning my next visit. John is so nice and he gives a fantastic massage! I love getting massages, but my experiences have been predominately by females and at spas. The great thing about John is you aren’t paying for all the extra spa fees. Also, I felt very comfortable around him. John is super personable but also completely professional. My hour massage was the perfect combination of relaxation and deep tissue pressure. I would recommend John to anyone! John is WONDERFUL! I don’t know how I got so lucky to find him, but I’ve had at least 8 massages with him and they have all been great. He’s really knowledgeable with all kinds of massage– I started off with the manual lymphatic drainage massage because of surgery I had over the summer. He was gentle and didn’t apply too much pressure. This was the first time I had this type of massage, so I was a little nervous, but he calmly explained what would be done before the massage to put me at ease. At the end of our sessions, he would provide me with little at-home tips to help my surgical recovery along. After that, John began telling me a little about the bamboo massage and I just had to try it! I enjoyed it and it was unlike anything I have exer experienced! I’ve also had the more traditional deep tissue and Swedish massages because of discomfort in my neck and shoulder areas. John is really good about knowing how much pressure to apply and every time I leave his office, I feel completely relaxed and rejuvenated. I feel really comfortable in his office, his hours are flexible, and he is reasonable. Just had my first appointment with John and was hoping the reviews I read were correct…and they were!!! I have suffered from chronic 24/7 headaches for the past ten years, and have searched for relief!!! John was able to provide that before my session was over! Have already booked another one, because I feel I have finally found the person who can truly help with my pain, not just a temporary fix!! If you’re looking for someone that has you’re interest above theirs, give John a try! I have given and received many massages, but visited John today for my first professional appointment and first by a male. It was great! John was very professional and, as another reviewer mentioned, personable. Any gut-level awkwardness trepidation I held melted away very quickly and the massage incorporated a little bit of everything. I was impressed with the whole process and also want to specifically recommend the bamboo treatment, which was really luxurious and just felt awesome. This is a guy who is as much an artist as a clinician; go treat yourself! Ashley was very good. I had a deep tissue massage, one hour, and I felt great afterward. Wonderful facility, comfortable bed, soothing music, and cold water and candy after. Definitely worth a visit! John gives the best massage I have ever had! Three words….Heated Bamboo Massage. Seriously, this is amazing. Perfect pressure, no pain, just relaxation. I went in sore from a heavy workout regime, and left feeling so much better. He listens and remembers what I liked last time and also lets me know what my body is telling him. John mentioned that he recently went to a large massage therapist convention. I appreciate the fact that he educates himself to stay on top of the skill that he has mastered. John has a medical background and tends to approach massage as a medical relaxation procedure, instead of someone trying to center my spirit. No offense to those massage therapists that are into fung shui and yoga, but that’s just not me. What I’m into is getting the knots out of my neck, relieving the pain in my hamstrings, and loosening up my shoulder blades so that I actually reach above my head to wash my hair in the morning. (Again, I’ll remind you that I have a heavy work out schedule- haha) I am logging off of yelp to go to John’s website to schedule another appointment right now. A friend gifted a massage from John after a stressful few weeks at work. John was able to work with my schedule (Saturday), which made the message that much more relaxing. The atmosphere was perfect and his technique was wonderful. I look forward to trying the new hot bamboo massage soon!